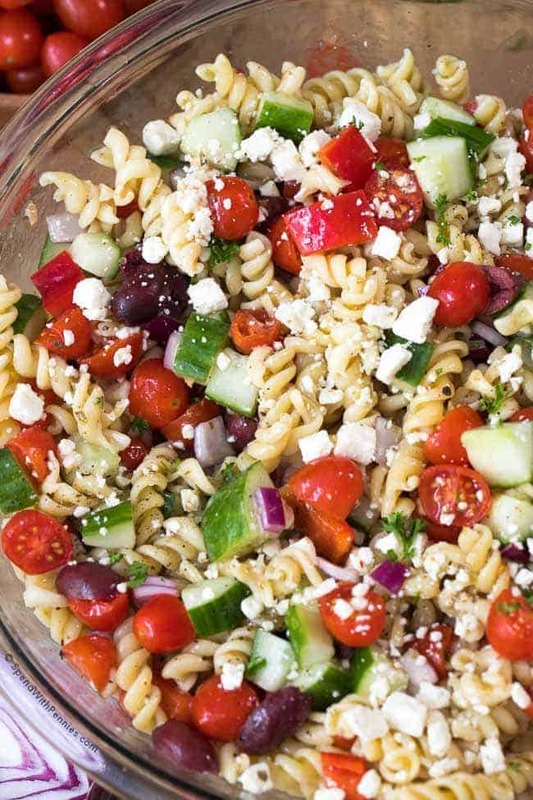 Greek Pasta Salad is an easy side, perfect to prep ahead and a hit at every party or potluck! 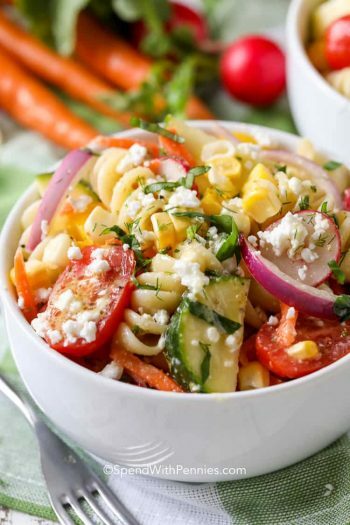 Tender pasta, ripe juicy tomatoes, crisp cucumbers, feta cheese and olives are tossed in a Greek dressing for the perfect make ahead side dish. 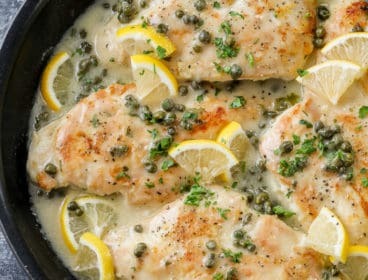 We often add grilled chicken to make it a complete meal marinated in our favorite Greek Dresssing for a full meal! 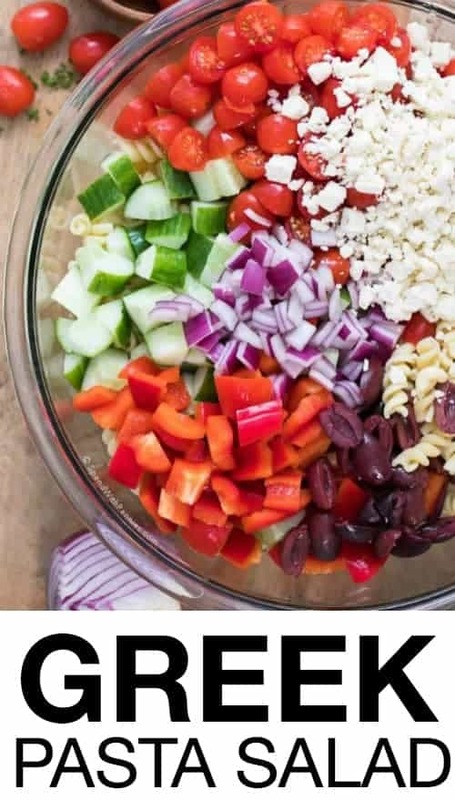 I’m a huge fan of Greek Salad, it’s easy and fresh and it’s one of those recipes where I always seem to have the ingredients on hand. 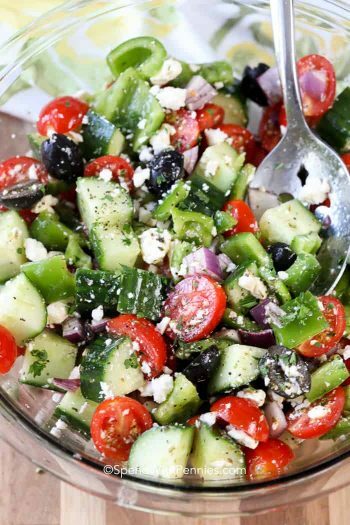 The very first time I had a Greek Salad, it was made by my friend Lisa way back in 1997 when she brought it to a barbecue at my house. 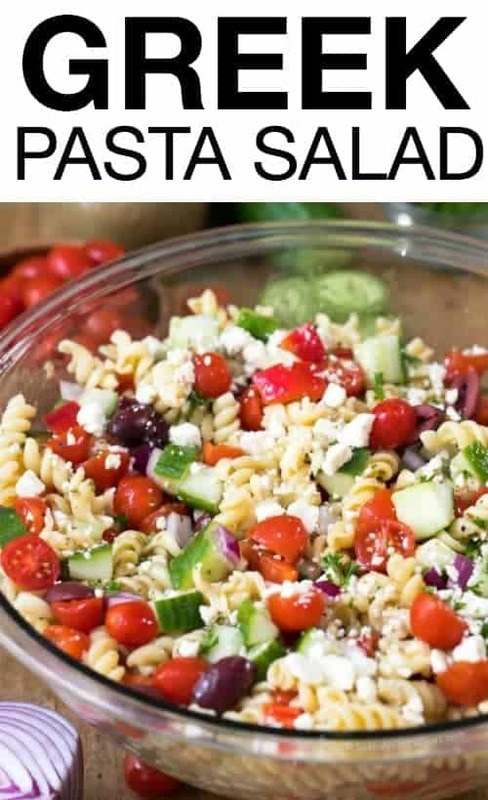 Once I’d had it that first time, we started having Greek salad every week or more! 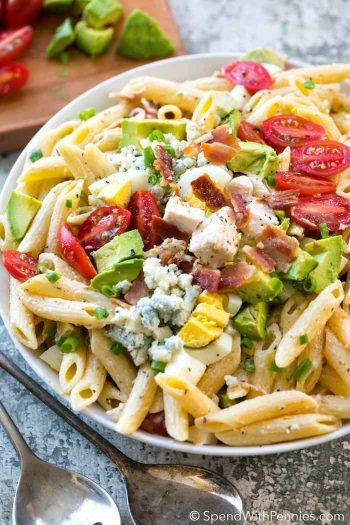 As much as I love a good Greek salad, I’m also kind of crazy for pasta salad (Dill Pickle Pasta Salad or Hawaiian Pasta Salad anyone?). 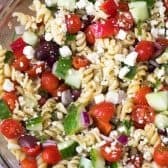 I started playing around with the my original Greek Salad recipe and made it into a pasta salad. 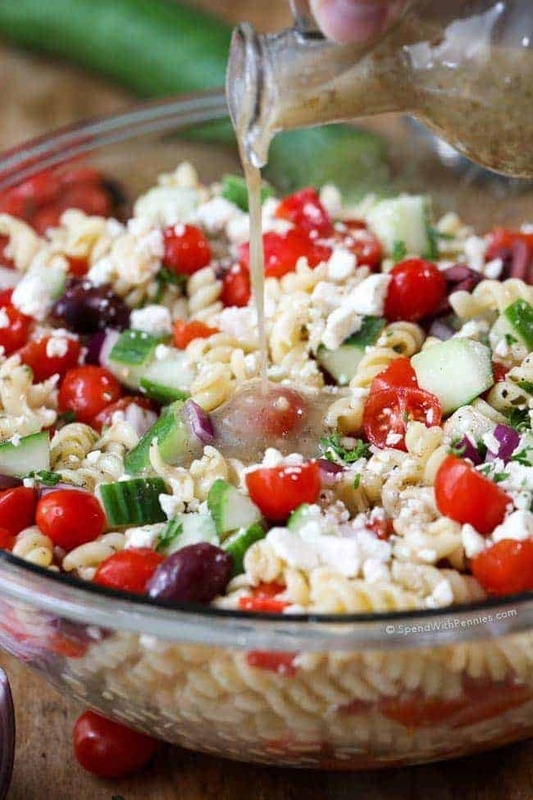 The combination of ripe juicy tomatoes, crisp cucumbers, red onions, feta cheese, olives and pasta tossed with a delicious greek dressing is crazy good and makes the perfect meal or side dish! 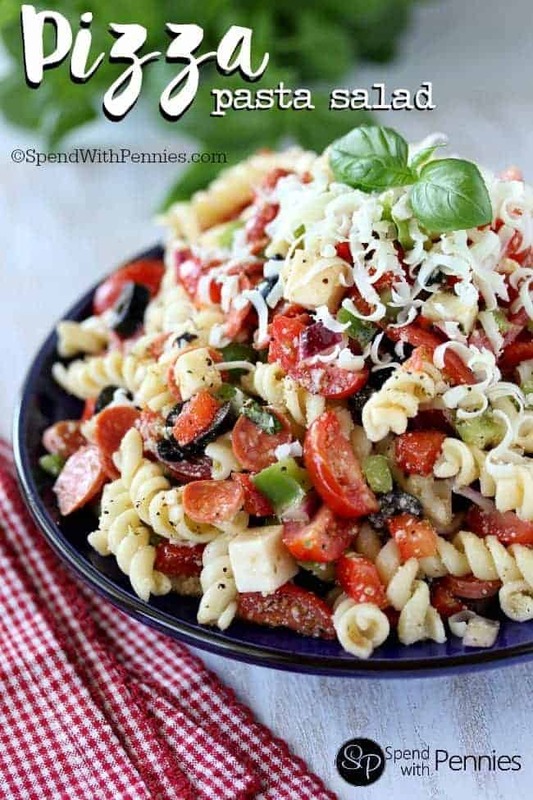 Cook your pasta al dente and rinse under cold water to stop cooking. 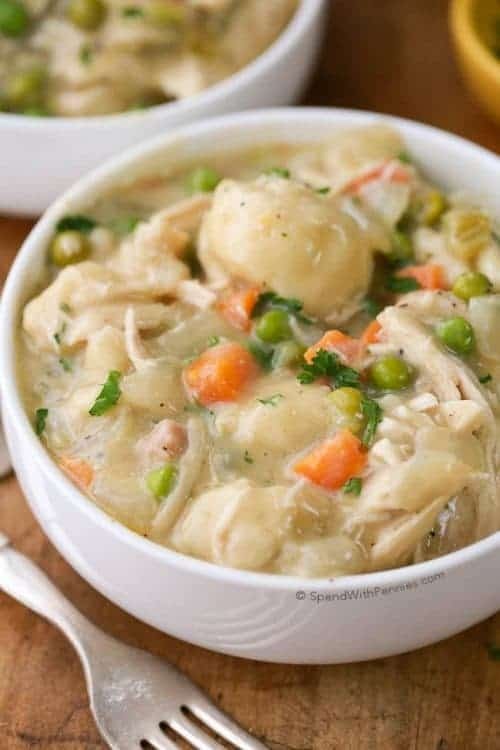 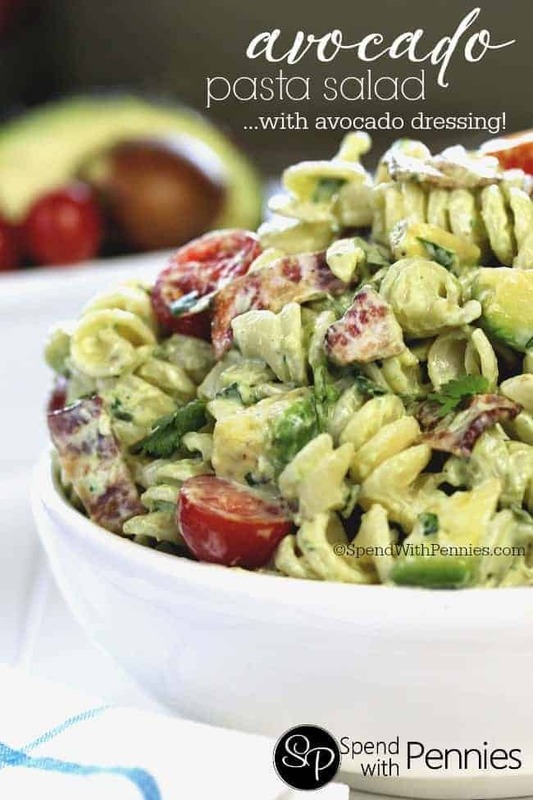 Combine everything in a large bowl and toss with dressing, chill before serving! 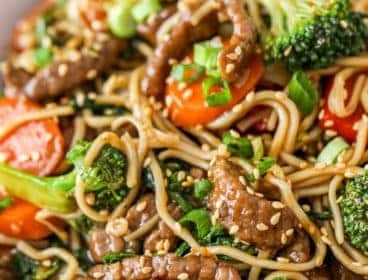 So easy right? 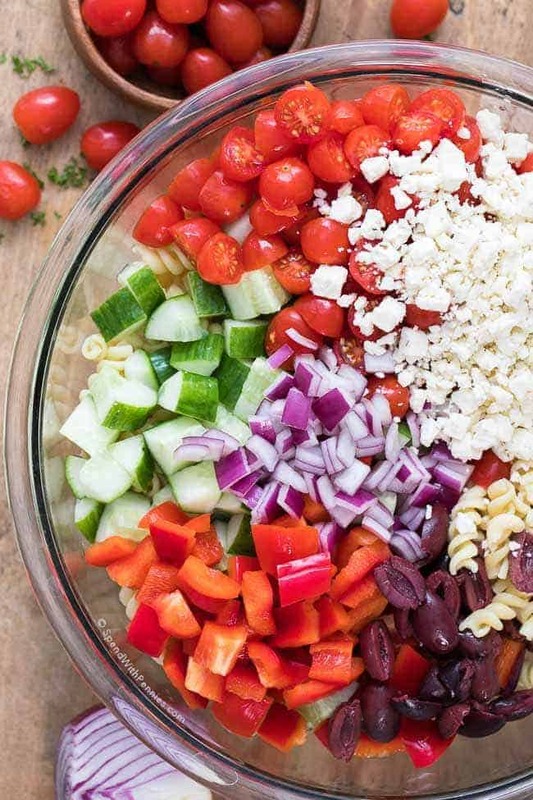 What Veggies go into a Greek Pasta Salad? 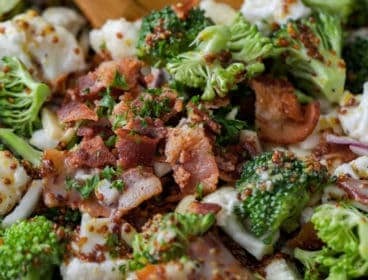 Of course you can prepare a homemade dressing for this recipe but using a store bought Greek dressing makes it really quick to make and tastes delicious! 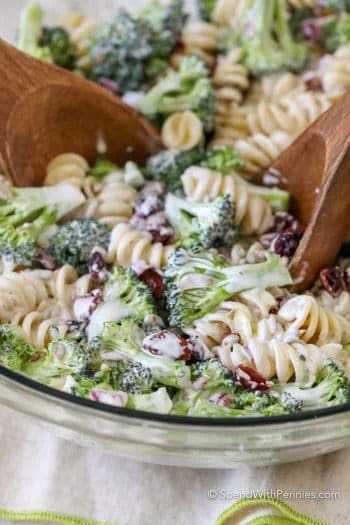 This recipe is loaded with veggies and we often use a whole wheat pasta and a light Greek dressing to make a this a healthy Greek pasta salad. 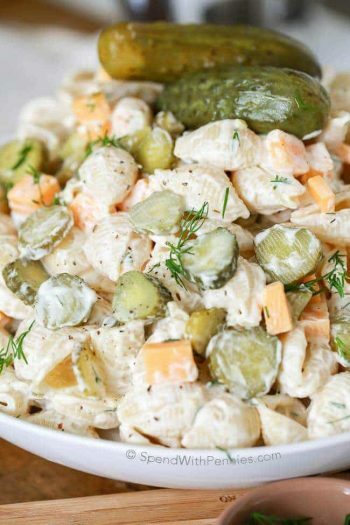 Dill Pickle Pasta Salad – Popular for potlucks! 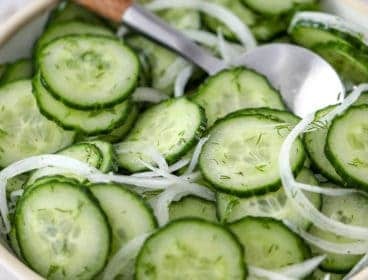 If your family finds the red onion has a little bit too much bite you can soak it in ice water with a pinch of salt as you’re preparing the rest of the ingredients. 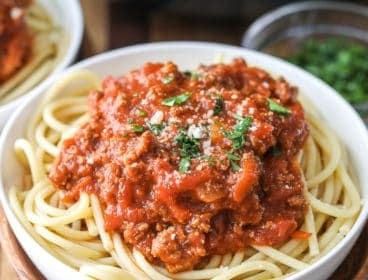 Shake for 10 seconds, drain and repeat if needed. 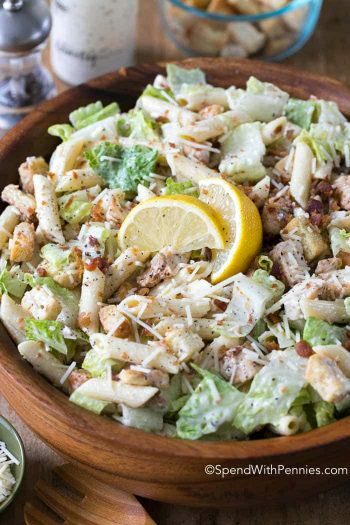 This salad will hold up in the fridge for about 5 days so it’s the perfect school or work lunch and is a great make ahead dish for a barbecue or potluc! 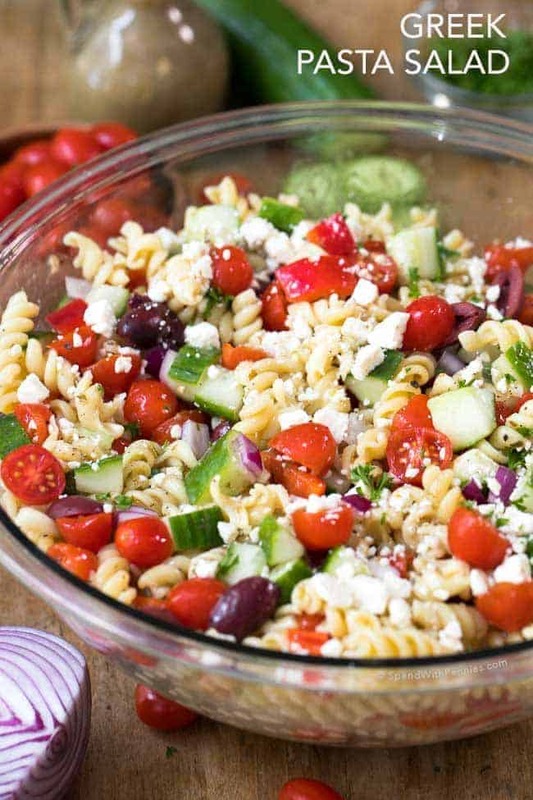 Greek Pasta Salad is an easy side, perfect to prep ahead and a hit at every party or potluck! 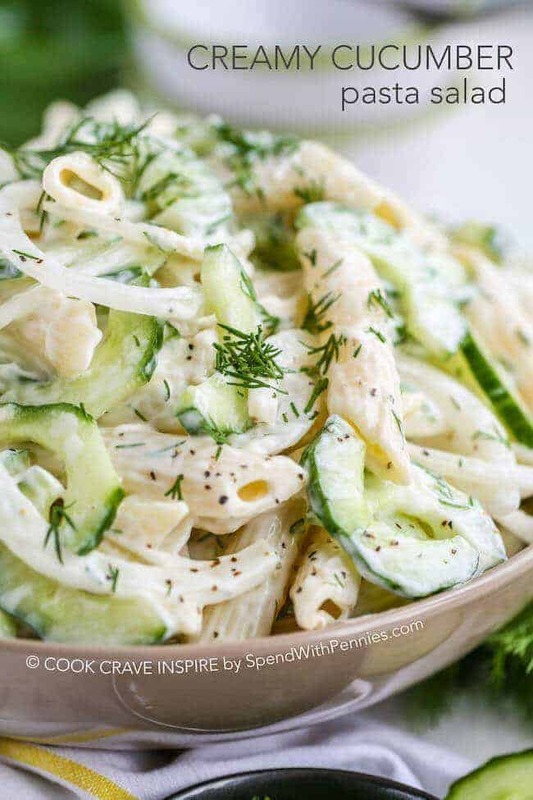 Tender pasta, ripe juicy tomatoes, crisp cucumbers, feta cheese and olives are tossed in a Greek dressing for the perfect make ahead side dish. 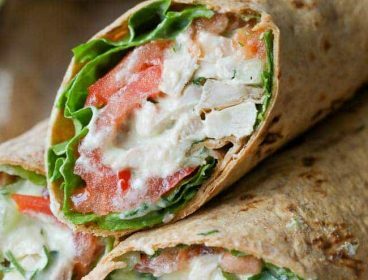 We often add grilled chicken to make it a complete meal.